Update: It's now official, it costs $79 and is available from Apple right now. Everybody loves a juicy Apple rumour. A blurry image of the casing from the next-gen iPhone, details on the CPU for a new iPad, FCC filings on an automated Apple Car. Apple rumours are the main source of fuel for the tech rumour mill. And what a whopper we've got for you now. The image above, which currently has the web in a frenzy of excitement, is purportedly the official Apple Watch Magnetic Charging Dock. We know, we know... it's all a bit too much to take in. Details emerged on the official dock yesterday but have now been backed up with some pictures published by grobgebloggt.de. In all seriousness, it's about time Cupertino offered up a genuine charging station - after all, there's a tonne of unofficial Apple Watch charging docks already on sale. 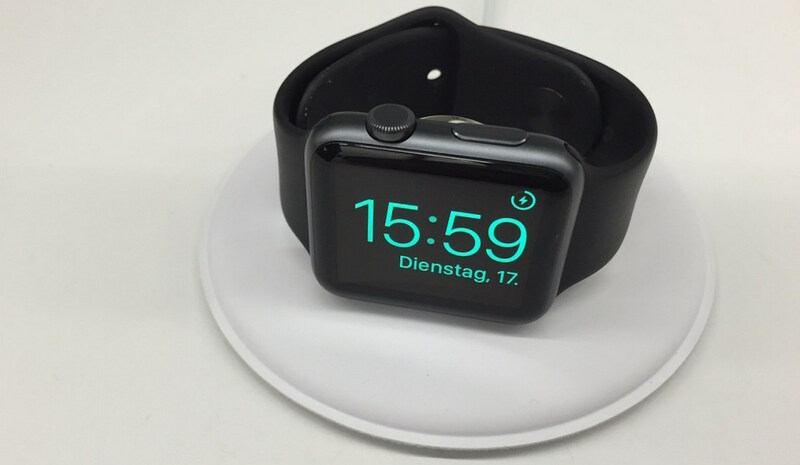 The official dock, according to the various reports, is powered by a Lightning cable and allows the Watch to be charged flat on its back or in the Nightstand mode that watchOS 2 added. Simple as that really and it's set to cost $100. We'll let you know the second we get official confirmation of such an accessory. If you feel like souping up your smartwatch, check out our pick of the best Apple Watch accessories.